According to the Centers for Disease Control and Prevention (CDC), an estimated 50–70 million US adults have chronic sleep and wakefulness disorders. People experiencing insufficient sleep are at higher risk for obesity, cardiovascular disease, diabetes and depression. Sleeping pills such as benzodiazepines are not recommended as a long-term solution because they can cause a number of side effects and some people become dependent on them. Luckily, certain herbs, foods and natural compounds have sleep-promoting properties. Some have even been shown to be just as effective as prescription drugs with fewer side effects. The American Academy of Sleep Medicine (AASM) reports that about 30% of Americans have symptoms of insomnia. Middle-aged and older adults are more prone to having poor sleep than younger people and women are more likely to develop insomnia than men. Primary insomnia is sleeplessness that cannot be attributed to an existing medical, psychiatric or environmental cause. Secondary insomnia is sleeplessness associated with a physical or mental illness. Melatonin is a hormone produced nocturnally by the pineal gland in the brain. Melatonin is naturally released in response to darkness and falls to very low levels during daylight hours. Research has shown that it primes brain activation patterns in anticipation of sleep. Melatonin supplements are a popular remedy for jet lag or sleep problems associated with shift work due to the hormone’s ability to reset the internal body clock. Several studies have also found that melatonin can be an effective treatment for poor sleep or insomnia. A clinical trial published in Breast Cancer Research and Treatment examined the effects of melatonin supplementation in postmenopausal breast cancer survivors. A total of 95 women who had completed cancer treatments were enrolled in the study, 52% of whom reported poor sleep. Participants were randomly assigned to receive either 3 mg of oral melatonin or a placebo daily for 4 months. All of the women were assessed with the Pittsburgh Sleep Quality Index (PQSI) before and after the trial. The group who took melatonin had significantly improved sleep quality, less daytime dysfunction and better PSQI total scores when compared with the placebo group. Participants in the melatonin group who began the trial as poor sleepers also showed greater improvement in overall sleep quality. Of the poor sleepers in the melatonin group, 20% no longer had poor sleep after 4 months, compared to only 8% of poor sleepers in the placebo group. An Italian study published in the Journal of the American Geriatrics Society investigated the effect of melatonin on long-term care facility residents. A total of 43 patients with primary insomnia were randomized to receive either a food supplement containing 5 mg of melatonin (along with magnesium and zinc) or a placebo one hour before bedtime, every day for 8 weeks. The participants were evaluated using the PSQI, the Short Insomnia Questionnaire (SDQ) and two additional sleep questionnaires before and after the trial. Total sleep time was measured with a wearable armband sensor. The melatonin group had significantly better improvement in total sleep time and overall PSQI and SDQ scores compared to the placebo group. They also had significant improvements in ease of getting to sleep, quality of sleep, sleepiness on awakening and morning alertness. Natural melatonin production declines with age. A clinical trial published in BMC Medicine investigated whether older age or low melatonin excretion in the brain is a better predictor of response to melatonin supplementation. A total of 791 patients with primary insomnia were randomized to receive a 2 mg prolonged release melatonin tablet or a placebo tablet 2 hours before bedtime for 3 weeks. The placebo group was then re-randomized with half switching to melatonin tablets for the next 26 weeks of the trial. The patients kept sleep diaries and were assessed with the PSQI. Physical examination and laboratory tests were performed at the initial screening, week 3, week 29 and at the end of the trial. PSQI global scores improved in the melatonin group throughout the study. After 3 weeks, time taken to fall asleep significantly decreased in elderly patients (aged 65-80) taking melatonin tablets regardless of their initial melatonin levels. On average, they fell asleep 19 minutes faster compared to an improvement of just 2 minutes in the placebo group. The researchers concluded that low melatonin production is not useful in predicting responses to melatonin therapy in insomnia. Take one 5 mg melatonin supplement tablet 20-30 minutes before bedtime. You can help your body to naturally increase melatonin levels by exposing your eyes to bright light when you wake up in the morning and avoiding exposure to bright light 2-3 hours before bedtime. 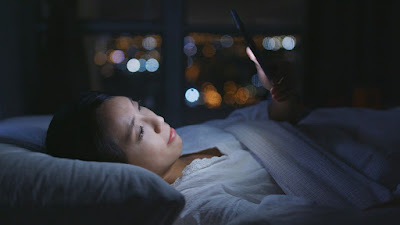 Blue light from LED bulbs, smart phones, computer screens and televisions mimics sunlight and can reduce or delay melatonin production. The herb valerian causes sedation by increasing levels of GABA in the brain. GABA (gamma aminobutyric acid) is an inhibitory neurotransmitter that regulates depressive and sedative brain signals and is critical for relaxation. Research has shown that valerian extract promotes the release of GABA from brain nerve endings and inhibits an enzyme that destroys GABA. A study published in Pharmacology, biochemistry, and behavior evaluated the effect of valerian on the sleep quality of 128 volunteers. Each participant received 400 mg of valerian extract, a commercial supplement containing 60 mg of valerian, and a placebo. The samples were identified only by a code number. Participants took each one of the formulations three times in random order on 9 non-consecutive nights. They filled in a sleep questionnaire the morning after each treatment. Compared with the placebo, 400 mg valerian extract significantly improved sleep quality and decreased the time it took to fall asleep. The effect was most notable among participants who considered themselves poor or irregular sleepers. The only significant change associated with the 60 mg of valerian supplement was an increase in reports of feeling sleepier than usual the next morning. A small study published in Planta Medica investigated the effect of valerian on sleep latency (the time it takes to fall asleep) in 8 volunteers with mild insomnia. The participants were all given sleep/activity meters to wear on their wrists in bed. Time of sleep onset was defined as the first period of 5 minutes without movement. Each volunteer was randomly assigned to receive one test sample each night for 12 nights: either 450 mg of valerian extract, 900 mg of valerian extract or a placebo. Both doses of valerian extract significantly reduced average sleep latency from about 16 minutes down to 9 minutes. This is a similar reduction to that seen with prescription benzodiazepine sedatives. While the higher dose of valerian did not improve sleep latency more than the lower dose, it did cause an increase in sleepiness the next morning. A German clinical study compared the efficacy and tolerability of valerian with that of oxazepam, a benzodiazepine medication used for the treatment of anxiety and insomnia. A total of 75 patients diagnosed with insomnia were randomized to receive either 600 mg of a valerian extract supplement or 10 mg of oxazepam. The patients took the medication 30 minutes before going to bed over a period of 28 days. Before treatment, after 2 weeks and at the end of the study, patients were assessed and given a sleep rating by a physician. Sleep quality improved significantly in both the valerian and oxazepam groups, and no statistically significant difference could be found between effectiveness of the herb and the drug. However, the valerian group reported fewer side effects. Tea: Pour 1 cup of boiling water over 1 teaspoonful of dried root, steep 5-10 minutes. Valerian may be taken up to 3 times daily, with the last dose near bedtime. Lavender has long been used as a folk remedy for insomnia. Research has shown that, like valerian, lavender promotes relaxation by regulating GABA receptors and enhancing the inhibitory tone of the nervous system. Studies of lavender as a sleep aid have focused on the use of lavender essential oil in aromatherapy. A Taiwanese study published in Evidenced-based Complementary and Alternative Medicine examined the effect of lavender aromatherapy in middle-aged women with insomnia. A total of 67 female insomniacs aged 45-55 were randomized into two groups. The experimental group inhaled lavender essential oil from an aromatherapy diffuser for 20 minutes, twice a week, for 12 weeks. The control group were educated in sleep hygiene. Participants’ sleep quality was assessed at the beginning and end of the trial using a standard questionnaire. The total sleep quality score of study subjects significantly improved in the experimental group, while no significant difference was observed in the control group. A study published in Chronobiology International examined the effects of lavender aromatherapy on sleep. Researchers recruited 31 young healthy men and women to spend 3 nights in a sleep laboratory with their brain waves monitored by polysomnography. On the second night, they were randomized to receive a vial containing either lavender oil or distilled water. They smelled the vials intermittently for a half hour before bedtime. On the third night, the vials were swapped over and the process was repeated. Polysomnographic data showed that lavender increased the percentage of deep or slow‐wave sleep. In addition, all subjects reported feeling more vigorous the morning after lavender exposure. A Japanese study published in Sleep and Biological Rhythms investigated the effects of essential oil inhalation on objective and subjective sleep quality. Participants wore wrist sleep/activity meters for 15 nights as they inhaled either lavender or sweet orange essential oil. They also completed sleep quality questionnaires. Midway through the study they crossed over to the other essential oil. The objective actigraphy data showed that aromatherapy improved sleep measures in participants whose sleep quality was poor in the control condition, with lavender being more effective than orange. The subjective sleep data from questionnaires also showed that the essential oils improved sleep for participants who started out with poor sleep quality. Interestingly, the participants believed that sweet orange was more effective than lavender. The researchers note that the difference between the objective and subjective interpretation of the effectiveness of the two oils suggests that expectancy bias did not influence the effect of lavender on sleep. Add a few drops of oil to an aromatherapy diffuser to fill your bedroom with fragrance. Add 15 drops of lavender essential oil to 1 ounce of almond oil and massage into your skin before sleep. Put a few drops of lavender oil on a handkerchief, hold it near your nose and breath in the scent every few minutes starting 30 minutes before bedtime. Mix a few drops of lavender oil with water in an atomizer and lightly mist onto your pillow. When researchers conducted a study to test whether tart cherry juice could prevent the symptoms of exercise induced muscle damage, several participants reported that the drink helped them sleep better. Since then, a number of studies have been carried out confirming that cherries or cherry juice can improve sleep quality. Cherries are a natural source of melatonin, the hormone that regulates the sleep-wake cycle. A pilot study published in the Journal of Medicinal Food investigated the effectiveness of a cherry juice drink for the treatment of insomnia. Researchers recruited 15 elderly adults with insomnia and randomized them to receive a commercial tart cherry and apple juice blend or an identically packaged placebo drink. Each participant drank one 8-ounce serving in the morning and one before bedtime. After 2-weeks of treatment and a 2-week break, the participants switched beverages for a further 2-weeks. Sleep quality was assessed from daily sleep diaries and rated on the Insomnia Severity Index. The cherry juice drink was associated with modest, but significant, improvements in sleep continuity and significantly reduced insomnia severity when compared to the placebo. A crossover trial published in the European Journal of Nutrition investigated whether cherry juice would increase urinary melatonin levels and improve sleep quality in healthy adults. A total of 20 volunteers were randomized to consume either a tart cherry juice concentrate or a placebo for 7 days. They were then given the other beverage for a further 7 days. The participants all wore sleep/activity meters on their wrists in bed and completed sleep questionnaires. They were also asked to provide urine samples. A urine analysis showed that total melatonin content was significantly elevated when participants drank cherry juice. Supplementation with cherry juice also significantly increased total sleep time and sleep efficiency (the ratio of time spent asleep compared to the time spent in bed). Researchers concluded that tart cherry juice provides an increase in melatonin that is beneficial for improving sleep duration and quality. A study published in the Journals of Gerontology evaluated whether cherry consumption influences the sleep/wake cycle and melatonin. Researchers recruited 12 volunteers aged 35-85. Twice a day, after lunch and dinner, the participants ate 200 grams of cherries from 7 varieties grown in the Jerte Valley of Spain. They wore sleep/activity meters on their wrists throughout the study period. Morning urine samples were collected at the start and end of the 3-day trial. Consumption of each of the cherry varieties produced beneficial effects on actual sleep time and total nocturnal activity. All of the cherry cultivars also significantly increased urine melatonin levels. However, some of the sleep parameters measured, such as night-time awakenings and sleep latency, only improved after eating particular types of cherries. For the most melatonin, choose a cherry variety such as Montmorency or Balaton or a juice made from tart cherries. Tart cherry juice concentrate is available from health food stores. Kiwi fruit is high in serotonin, a neurotransmitter which is associated with REM sleep. Kiwi is also rich in folate (vitamin B12). Low serotonin levels or a folate deficiency can result in insomnia. A Taiwanese study evaluated the effects of kiwifruit on sleep patterns. Researchers recruited 24 participants (aged 20-55) with self-reported sleep disturbances. They were all given Actigraph sleep/activity logger watches and instructed to consume 2 kiwifruits 1 hour before bedtime. Participants were assessed with the Chinese version of the Pittsburgh Sleep Quality Index (CPSQI) before and after kiwi therapy. They also kept sleep diaries. After 4 weeks of kiwifruit consumption, CPSQI scores improved by 42%. Time taken to fall asleep decreased by 35%. Night waking time decreased by 29%, and total sleep time increased by 13%. A clinical study published in the Journal of Agriculture and Food Chemistry assessed the melatonin content of 6 tropical fruits and its absorption in the human body. Most of the fruits showed moderate melatonin content when analyzed by high-performance liquid chromatography. Researchers recruited 30 healthy volunteers to consume each of the 6 fruits one at a time, with a 1-week wash-out period between fruits. Their urine samples were then tested for aMT6-s, a marker of circulating melatonin in the body. Three fruits showed significant increases in urine aMT6-s concentrations. Pineapple was the best source of dietary melatonin with an increase of 266%, followed by banana with an increase of 180% and orange with an increase of 47%. The researchers note that further study is needed regarding the effect of fruit consumption in people with age-related melatonin reduction problems such as sleeplessness. The studies above suggest that daily consumption of a pineapple, banana and kiwi smoothie might help improve sleep. 5-HTP (5-hydroxytryptophan) is a chemical compound that the liver makes from the essential amino acid tryptophan (found in protein-rich foods). 5-HTP travels through the bloodstream to the brain where it is converted into the calming, mood-enhancing neurotransmitter serotonin. Serotonin can subsequently be converted into melatonin, the hormone which regulates the sleep/wake cycle. While 5-HTP is naturally produced in the body, 5-HTP supplements, made from the African climbing shrub, Griffonia simplicifolia are a popular sleep aid. Research has shown that oral 5-HTP supplements are well absorbed with about 70% of the compound ending up in the bloodstream. 5-HTP easily crosses the blood-brain barrier and effectively increases synthesis of serotonin. A randomized controlled trial published in the American Journal of Therapeutics tested a supplement containing 5-HTP and GABA in patients with sleep disorders. A total of 18 patients were randomized to receive either the supplement or a placebo. All of the patients filled out daily sleep questionnaires. Autonomic nervous system function was measured using electrocardiographic recordings. Time taken to fall asleep was significantly reduced from 32 minutes to 19 minutes after taking the 5-HTP supplement. There was no significant difference in sleep latency time in the placebo group. Duration of sleep increased significantly from 5 hours to nearly 7 hours in the supplement group, compared to no significant difference in the placebo group. Ease of falling asleep, night time awakenings and morning grogginess also improved for the supplement group, along with objective measurements of autonomic nervous system function. A pharmacological trial published in the European Journal of Pediatrics tested 5-HTP for the treatment of sleep terrors in children. Sleep terrors (or night terrors) are episodes of intense panic, screaming, flailing and bolting upright while still asleep. Researchers recruited 45 children aged 3-10 who had been referred to a sleep center for sleep terrors. All subjects underwent a neurological examination and EEG recording while awake and sleeping. A treatment group of 31 patients were given 5-HTP to take at bedtime. After 1 month of 5-HTP treatment, 94% of patients showed a positive response. After 6 months, 84% of children treated with 5-HTP were sleep terror-free. In contrast, 71% of the untreated children continued to experience sleep terrors at the 6-month follow-up. Take one 200 mg of 5-HTP supplement capsule daily. Do not exceed the recommended dose. You can also modestly increase your levels of 5-HTP by adding more tryptophan to your diet. Tryptophan is present in most protein-rich foods. High protein foods that are good sources include: meat, fish, dairy products, beans, nuts and seeds. In addition to adding more sleep-promoting foods to your diet or taking supplements, ensure that you practice good sleep hygiene. If your mattress, pillows or covers are uncomfortable, consider an upgrade. Don’t drink caffeinated beverages after 5 PM (or earlier if you are sensitive to caffeine). Get sufficient exercise during the day. Relax with calming activities such as reading for 2 hours before bedtime.